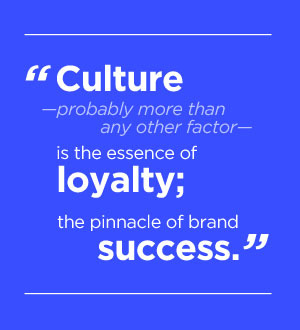 This entry was posted in Best Practices, Rules, Strategy and tagged Accountability, Authenticity, Brand Experience, Brand Strategy, Budget, Choices, Culture, Leadership, Mission, Passion, Values. Bookmark the permalink. Great topic on both personal branding and self-development and motivation. Thanks, Crystal. I don’t explicitly get into the discussion of personal branding, but I agree that this works in that world, too. Defining what you stand for, and making the effort to demonstrate it, is a choice that costs the same as any other. Great post, Stephen, on the hidden costs of indifference to your brand. And oh, are those excuses about why you can’t care more expensive. Failing to pay attention to your culture (and how it’s developing) is expensive. Passion, as you put it so eloquently, really is priceless. Hence it’s got to be high on the list of organizational priorities. This is the classic principle of investment; the immediate return may not be evident, and it might even feel a bit painful in the beginning. But the dividend in the end is exponentially greater, and it’s almost impossible to catch up if neglected in the beginning. “Hidden cost of indifference” is a wonderful phrase. Well said, Marianne. Thanks for the comment.